This year has gotten off to a good start for children’s literature. 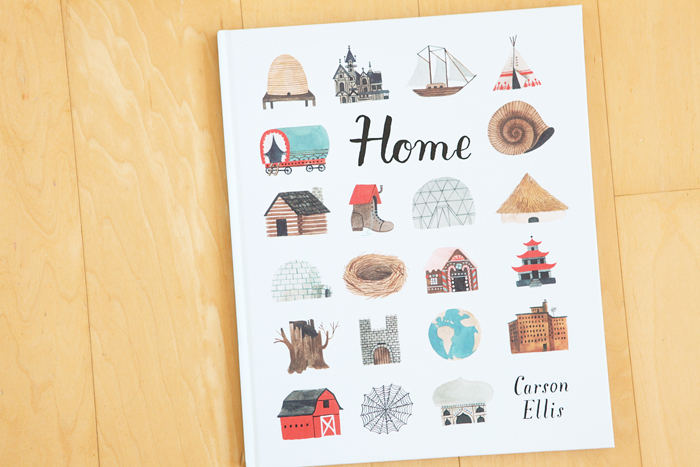 Home by Carson Ellis is one of the beautiful works that has been published recently. It features homes of every ilk—real, imaginary, urban, bucolic. If Ellis’ work looks familiar, you’ve probably seen it on covers for The Decemberists. The words in Home are hand-lettered and the illustrations are done in gouache and ink. Avery was interested in living in the “cup house” because she wanted a “lot of space.” As you read this with your kids, you’ll be imagining which otherwordly abode you’d like to live in, too.